While looking for affordable products at the Watsons branch in Mall of Asia, a lovely product specialist got my attention and discussed about Olay. 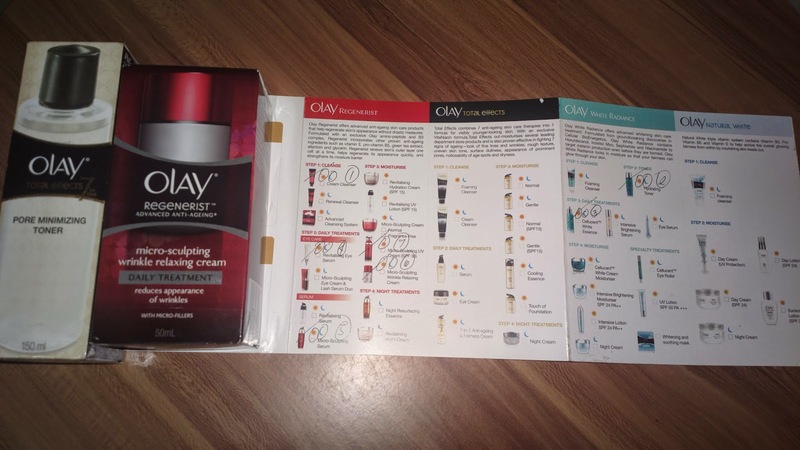 The product is of course nothing new but I was fascinated to hear about a short discussion on various skincare types and what Olay products are ideal for it. She analyzed mine after asking a few details and made a recommendation afterwards. She even used an app exclusive to Olay which scans a portion of the face and measures skin age. Mine was a year older than my actual age. O_o . I obviously didn't buy the complete range of products recommended because they bordered on the expensive range. I was actually only there to pick up a type of toner product. And look where it lead me to! Well, at least I got a fancy little booklet with information on skin care. Ask your Olay lady for skincare product recommendations.